How do you articulate the value of creative content to show that stories have an impact on your brand. What metrics do you use and why? Explaining how content marketing impacts your brand can seem like a treacherous journey into a deep cavern where you’ll have to learn Parseltongue, or at the very least, old-white-guy business speak. But it gets a little easier when you remember something: Content marketing only impacts a brand because it helps build stronger relationships with customers or potential customers. The easiest way to build those relationships is to genuinely help people. If you’re B2B, help people get better at their job and move up in their careers. If you’re B2C, help them enjoy personal passions (travel, fitness, wellness, food, sports, etc.) more. If you help someone master their little corner of the universe a little bit better, they’ll trust you. In-depth engagement: How do people react when they get to your content? Attention is one of our most valuable currencies. Everyone has a finite attention budget. Even a few minutes has to be earned. Here, we’re examining session duration, pages/session, scroll depth, and—oh yes—shares. Shares matter. They’re an important gesture of advocacy on behalf of your content. When people share your work, they’re vouching for you. Loyalty: A viral article looks good in a vacuum, but if 98 percent of those people never come back, how much did that post actually help your company? 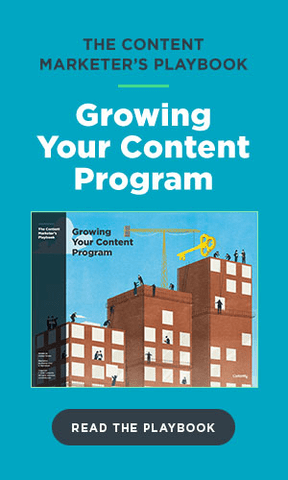 Find the people who read your content multiple times per month, and find ways to keep connecting with them. A Contently study found that loyal readers were 10x more likely to purchase our software and recommend it to friends. In the age of word of mouth marketing, that counts for a lot. Action: These metrics span the funnel. It starts with shares, which I covered above. Even more important are newsletter signups. Newsletter signups are a true gesture of trust, especially if someone volunteers a work email account. You’ve earned your place alongside that email from Jeff in sales. Where does content marketing typically fall under: marketing communications, digital marketing, or public relations? Surprisingly, there isn’t a standard yet. I’ve seen content marketing fall under every department imaginable, including community outreach. I’ve always suspected that our content marketing should be run by Greta, our head of operations who writes the snarkiest emails ever. She usually threatens us in some way, and it’s absolutely delightful. I would buy anything from her, mostly out of fear for my life. But no matter what department content marketing falls under, the key is to align it with the business goals of that department. More on that here. Should my company create a podcast? I listen to a lot of great shows, some of them about business and storytelling, but the market seems so saturated. It sounds like it could be a worthwhile project, but I’m just not sold yet. I really want to believe that this question came in from Kristaps Porzingis, but I also suspect that it might just be our editor-in-chief Jordan trolling me. Who cares—like Kristaps, I’m taking this to the hoop. Listen, Kristaps–my sweet, sweet savior and namesake of my future children—podcasts are tough. They’ve grown the slowest of all digital mediums. Only 26 percent of Americans listen to podcasts monthly. Even dedicated podcast listeners only have time for a few podcasts each week. It’s really hard to break through. 1. You need a show, not an interview series. “Hey, let me start a podcast where I interview cool people from my industry!” is a thought that you and 59 million other people have had. I’ve been a guest on 50 of these podcasts, and I’m not even cool. (There are Walgreens brand cough drops on my desk at all times, and I talk way too much about reaching Gold status on Delta. If you want a podcast to succeed, you need a truly unique narrative structure and hook. My friend Jay Acunzo does this super well with his Unthinkable Podcast, which features stories of people who take bold and unconventional approaches, risk their jobs, and succeed. (It resonated so well that he turned into a book that just came out—check it out!). People don’t want to listen to podcasts. They want to listen to shows. This is why something like Jay’s podcast, Serial, and the New York Times’ The Daily works so well. 2. You need distribution. The most successful brand podcasts are GE’s The Message and Dell’s Trailblazers with Walter Isaacson. Both are unique, narrative shows. Both also had a big marketing push behind them to get people to actually listen to them. Whether it’s a loyal blog and social audience, giant engaged email list, advertising dollars—or some combination of the three—you need a way to ensure that people actually download your podcast out when it launches and leave a bunch of reviews so that it rockets up the rankings and gets noticed. 3. You need to measure success the right way. Podcasts are an in-depth medium. People are giving you 30-60 minutes of their time. In many cases, 100 podcast listeners means a lot more than 5,000 unique visitors to your blog. 4. You need mattress ads. Not entirely sure where this comes into play, but every good podcast I’ve ever listened to has mattress ads. Just don’t forget to enter code “Lazer” for $100 off your order!